How to sail fast ? 5. SAIL INTERACTION to WINDWARD, and the JIB TRIM. 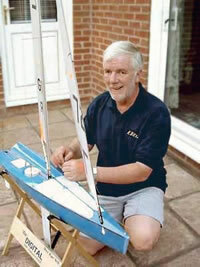 In this first of five Chapters on tuning a model racing yacht, we’ll look at rig selection. In the next sections are features on mast position, how to obtain proper trim to windward as well as how to alter that trim when sailing in non-optimum conditions. [Read more…] about How to sail fast ? What is your job? What is your commercial activity in the world of radiosailing, if any? Sailmaker and designer for SAILSetc. 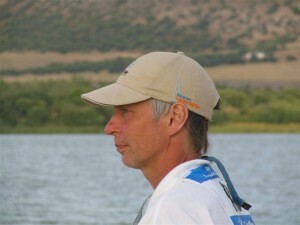 I have been runnning SAILSetc since 1978 and with Lorna’s full time assistance since 1985. We provide component parts and finished boats for all the RSD international classes and others. 2. What is your job? What is your commercial activity in the world of radiosailing, if any? I am a Refrigeration Engineer and have had my own business for 25years. I do not have any commercial activity radiosailing is only a hobby. How and when did you begin to sail in general? and sail in RC? Sailed Mirror Dinghy as a schoolboy. I did not sail anything until 1996 and started sailing 1OMs. Where do you usually sail? What is the frequency? I usually sail at Eastbourne Model Yacht Club and my frequency is 2.46GHZ. What model is your current boat? What is the marks of your current sails? What international awards have you achieved? Besides RC, do you usually sail in other classes? What exercises or hobbies do you practices to improve your skill in radiosailing? What do you consider the most important action to increase the number of participants in radiosailing? We need to encourage younger sailors and manufacturers should try to keep costs down to help this especially in the present economic climate.